Lancastrian G-AGWH – An Air search was undertaken on 16th & 19th July 1947 flying out of San Juan by W/C Craig in an Avro Anson Mk Xll and entered in his Flying Log Book. Yet the missing flight was reported to have not taken off until some 12 days later on the 2nd August 1947. Craig’s meticulously entered his personal log book and this likely to be the more accurate yet clearly deemed premature search dates. His wife Mary was then in late pregnancy with the eldest Son Gavin Ernest Laird Craig who was born in an Argentinian Convent Hospital on 6th August 1947. Avro Anson Mk XII – The aircraft’s true role, was to train pilots for flying multi-engined bombers such as the Avro Lancaster. 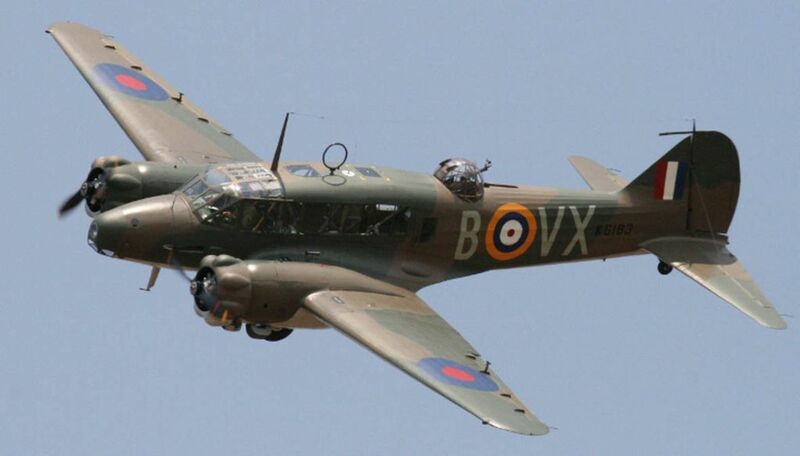 The Anson was also used to train the other members of a bomber’s aircrew, such as navigators, wireless operators, bomb aimers and air gunners. Postwar, the Anson continued in the training and light transport roles. The last Ansons were withdrawn from RAF service with communications units on 28 June 1968. The wooden wings of Ansons flying in Australia were found to fail at a high rate. The phenolic glue bonds parted, and it was speculated that the problem was due to the high humidity. The Commonwealth Government grounded most wooden-winged aircraft types in 1962. Craig’s ‘Annie’ was powered by 2 Cheetah XV engines and had a ceiling of some 20,000 ft.
Alan John Laird Craig as a very experienced Wartime Bomber Pilot and as Assistant Air Attache in Buenos Aires he was the most experienced Pilot available had been seconded to search for this plane on 2 occasions from San Juan Air Base (Coyu Region); a conflict of information here as reported and yet meticulously recorded on a prior date in Craig’s log book for 1946/7. Alan Laird Craig went on 2 searches for this aircraft on 16th & 19th July yet it was only reported missing mid flight on 2nd Aug 1947. The 1st Search advised by his 2nd son Adrian to be some 150 miles north of the actual crash site and his still-living mother, told him she was confined in the convent nursing home waiting to give birth to elder brother Gavin at the time (b. 7th August). 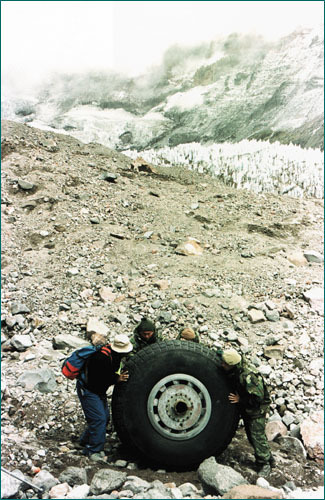 His eldest son Gavin advised that claimed on hearsay that his father had ‘spotted‘ the wreck – yet it was clearly ‘swallowed up‘ being hidden in the resulting impact avalanche and later the Lancastrian’s debris descended slowly over 5 decades in the mountain glacier and was re-deposited in the melt zone many years later in the year 2000. This Avro Lancastrian passenger aircraft could not possibly have been reported missing twice within 12-15 days without some added comments about the safety of operations. 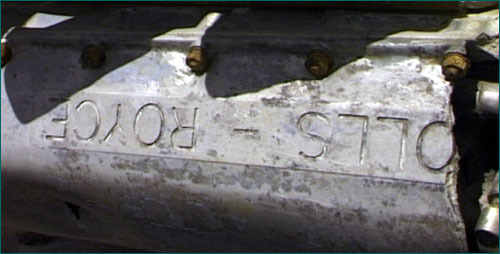 Was there a deliberate cover up by Don Bennett’s troubled BSAA airline on this date? It is likely to have flown at descent speed into a nearly vertical glacier, causing an avalanche that buried it within minutes and thus concealing it from observers and potential rescuers. The wreckage was entombed in the ice and was hidden until the ice had progressed its way down the mountain and slowly melted out. Only about 10% of the wreckage has yet emerged from the mountain with experts suspecting the remaining wreckage to make appearances in the future as the glacial ice melts over decades of time. The hot engines would have melted into the depth of the Glacier first. On August 2nd 1947 in the highest of the High Andes, one of the earliest long haul passenger aircraft Operated by Pathfinder and Airline Pioneer Don Bennett’s British South American Airways, a Lancastrian called ‘Star Dust’, disappeared en route to Santiago, Chile. 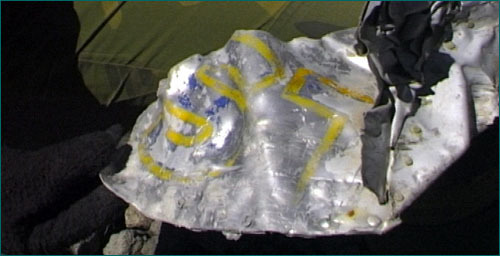 Intensive efforts by both Chilean & Argentine Search Teams, as well as by other BSAA Pilots, failed to uncover any trace of the Aircraft or of the people on board. The head of BSAA, Air Vice Marshal Don Bennett, personally directed an unsuccessful 5-day search. It left behind only questions: was it Sabotage; was there a horde of Gold on board and what was the meaning of the Radio Operator’s mysterious final message (stendec) (descent?) before the Airwaves fell silent? Only with the discovery of the wreckage by 2 Argentinian climbers in January 2000 could those questions finally begin to be answered. Star Dust Falling is the story of those on board that Pioneering Aircraft and of the deemed ramshackle Airline – BSAA – which sent them to their deaths. Run by an austere Australian War Hero newly arrived from Bomber Command, BSAA‘s Flying Crew consisted entirely of experienced ex-Bomber Pilots and Navigators. The Fleet of converted Lancaster Bombers operated on a Shoestring, regularly Flying without Sufficient Fuel or access to adequate Weather Forecasts. The result was that it became one of the most dangerous Airlines in the Western World. Yet it wasn’t until a 3rd of its planes had crashed and dozens of its passengers had died that the Government finally called a halt to it’s Operations. In this fascinating and compelling account, Jay Rayner recreates the events surrounding the loss of Star Dust and her discovery some 50 years later, piecing together the lives of the characters involved: the Chilean-Palestinian passenger with a diamond stitched into the lining of his Suit; the King’s Messenger with his bag full of Diplomatic Secrets; the Crew of fearless Veterans working in unbelievably strenuous conditions; the Argentinian Climbers who risked their lives to find the wreck and the Argentinian Military Men who declared War on each other in an attempt to claim the credit. Combining the glamour of the early days of long haul flight with the solving of one of Aviation’s greatest Mysteries, We add here the Mystery of the 2 Searches made in an Anson MkX by Wartime Bomber Pilot & Assistant Air Attache (Buenos Aries) A J L Craig some 17 days before the Aircraft was claimed to have taken off from Buenos Aries. Star Dust Falling is an exhilarating read. On 2nd August 1947 the Avro Lancasterian “Star Dust” G-AGWH disappeared on a Flight from Buenos Aires, Argentina to Santiago, Chile; 50 years later remains of the Aircraft emerged from a Glacier and was discovered to have crashed into Tupungato an Andes Volcanic Mountain. British South American Airways (BSAA) was a State-run Airline in the United Kingdom in the late 1940s responsible for Services to the Caribbean & South America. Originally named British Latin American Air Lines it was renamed before Services started in 1946. BSAA operated mostly Avro Aircraft: Yorks, Lancastrians & Tudors and flew to Bermuda, the West Indies, Mexico and the Western & Eastern Coasts of South America. Most of BSAA’s Aircraft were given individual Aircraft names beginning with “Star”, the heavenly bodies used in long-range Celestial Navigation. After 3 high-profile Aircraft disappearances, it was forcibly merged into the British Overseas Airways Corporation at the end of 1949. The final remains of Avro Lancastrian Aircraft that disappeared in the Andes Mountains over 50 years ago were finally recovered by an Argentinian Army Expedition Team. 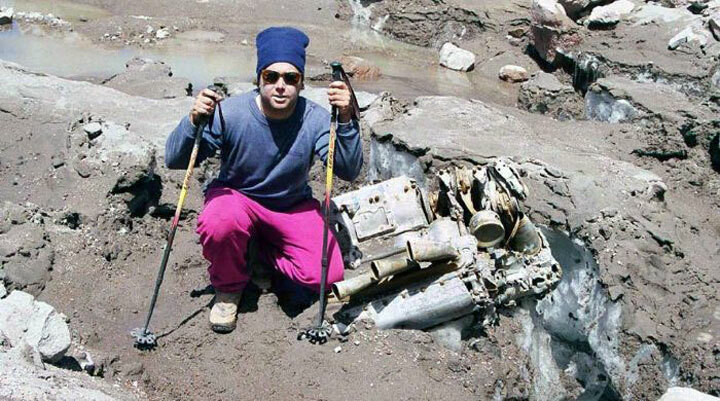 The remains, which include the body parts of the Air Crew who disappeared with the Aircraft, have been carried to the Andean Town of Tupungato. The Plane Wreckage was discovered by accident by a Mountain Expedition Team at the base of a Glacier, who later alerted the Authorities. For years, the fate of the missing Lancastrian was one of the great Aviation Mysteries. Now, the Plane and its passengers are finally being laid to rest but the surrounding mysteries remain. This is Base Camp at the foot of Tupungato Volcano in the Andes. It’s here that the Argentinian Expedition Team have brought the remains of the British Airliner that disappeared during a Flight in 1947. Tattered scraps of clothes and a severed hand eerily mummified by the cold were displayed – the clues to a Story that could not be told for more than half a century. Two Argentine Mountaineers discovered the Site accidentally as they climbed the 21,848ft (6,554-metre) Volcano. The 17-member Army Expedition sent to recover the remains later returned with its quarry. The perilous peaks where the Plane disappeared are so high they’re shrouded in snow & freezing temperatures all year round. Operated by the now defunct British South American Airways, the Plane was carrying 11 people – 5 Crew Members & 6 Passengers – and was headed to Santiago, Chile, when it is claimed to have disappeared on August 2nd, 1947. The Passengers included 3 Britons, a German, a Palestinian & a Swiss. Respect was paid to the dead. Four-wheel drive vehicles, mules and mountaineers were used in the Expedition. Taking advantage of the Southern Hemisphere summer, a Helicopter was also sent to the Mountain. Much of the Trip involved scaling near-vertical rocky faces. 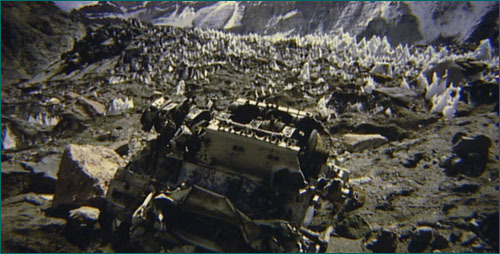 Once back on ground, the remains were carried to Mendoza. On hand to receive them was the Defence Attache of the British Embassy in Buenos Aires. The remains will be held in this Military Morgue where they will be analysed by Scientists. Thus ends one of the great Air Mysteries. For years, during the early pioneering days of aviation, the Andes mountain range was a virtual graveyard for Aircraft. The last message from the plane has puzzled aviation investigators for years. Radio operators in Chile reportedly received a Morse code message reading “STENDEC” – an acronym Investigators say has no meaning (DESCENT?). Following the crash, search Teams from England, Chile & Argentina combed the area by Air and on Skis but found nothing. Theories abounded about the Plane’s disappearance. It is now accepted by many experts that the effect of a Jet-stream on Navigation Calculations was the cause of the crash as the converted World War II Bomber did not have sophisticated modern Instrumentation. The hot Rolls Royce Merlin Engines would have melted into the depth of the Glacier 1st along with any attached parts on impact break-up. The landing wheels may not have been deployed subject to the Navigators anticipated position. My still-living mother, 95 this year, told me she was confined in the convent nursing home waiting to give birth to my brother Gavin at the time (b. 7th August) when my father received the call, as the most experienced flyer in BA on hand to search for the ‘Lancastrian’ converted Lancaster. He had also been recruited as a Pathfinder and flown with Bennett who had started the fated airline.The misunderstanding of the Navigator about the influence of the jet stream – since supposed to be the generally-accepted cause of the crash – had also confused the searchers, and so Alan Laird Craig (he dropped the use of ‘Laird’ for convenience during the war, and his name was variously spelled with one or two ‘l’s throughout his lifetime, which was short, dying aged 48) was sent out twice, first to an area about 150 miles to the North of the actual crash.